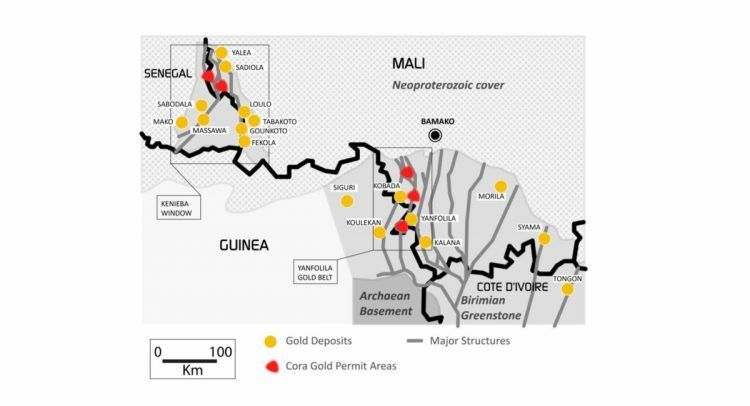 Cora Gold Limited, the West African focused gold exploration company, is pleased to provide an update on recent activity at its Sanankoro Gold Discovery (“Sanankoro” or “the Project”) in the Yanfolila Gold Belt, Southern Mali, and its upcoming plans for its further development. Multiple gold zones have been identified at Sanankoro, which has a combined drill defined mineralised footprint of over 8km and an independently determined Exploration Target of 1-2 million ounces of gold with significant upside. 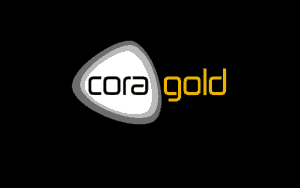 Dr Jonathan Forster, Chief Executive Officer of Cora Gold, commented, “Since listing on AIM in October 2017, Cora Gold has executed a focused exploration programme at Sanankoro aimed at confirming the potential for a standalone gold mine. This has been successful and has allowed us to now consider the next step in the development of Sanankoro whilst being mindful of minimising shareholder dilution. Results reported from the Sanankoro Gold Discovery have been highly encouraging and have effectively provided increasing levels of confidence to the Board for the future trajectory of the Project. The initial round of exploration drilling demonstrated the significant scale of the Sanankoro Project – this was further supported by the review and establishment of an Exploration Target of 1-2 million ounces with significant material upside independently determined by consultants SRK Consulting (UK) Limited (as per announcement dated 15 October 2018). This work established a global near surface target restricted to just 100m depth and including substantial oxide mineralisation of 30-50 million tonnes containing 1-2 million ounces of gold. Notably, sulphide mineralisation remains untested that could significantly enhance and increase the resource further. The long-held view of the Company is that Sanankoro has the potential to become a standalone gold mine. To advance this belief, the Company elected to focus on two targets within the previously defined 8km zone of mineralised structures, Zone A and Selin, for follow up drilling with the intention of outlining areas with the potential of becoming higher grade starter pits. The 2019 drill programme has delivered on this strategy and results have indicated the increased potential for higher grades, as per the announcements dated 26 February 2019 and 7 March 2019. Drill fence spacing of 80 metres has increased confidence levels significantly, with intercepts reported such as 46m at 4.48 g/t Au and 17m at 5.10 g/t Au from Selin, and 24m at 2.83 g/t Au and 26m at 2.60 g/t Au from Zone A, confirming the presence of gold zones from surface. It was decided to commence preliminary metallurgical test work on core samples to assess the effectiveness of different processing routes early in the evolution of the project. This enables the Company to understand the opportunities provided by different metallurgical processes that will then guide decisions made regarding the next stage of development. The recently reported interim metallurgical results (announcement dated 18 March 2019) demonstrated that Sanankoro’s oxide ore is amenable to heap leach and CIL, providing successful routes of gold extraction with up to 97% gold recovery. Having successfully established the considerable parameters for the Sanankoro Project, the Company now intends to commence looking at the detail required for the fast tracking of a smaller scale project. In line with this, the ongoing second stage of the metallurgical test work will help to further determine a preferable potential processing route. Results from the gravity-CIL and column leach testwork are expected during Q2 2019. It is anticipated that infill and extensional drilling of predominantly oxide targets through Q2 2019 will enable the Company to commission a maiden mineral resource estimate during Q3 2019. The objective will be to outline sufficient oxide resources to support an initial smaller scale mining scenario. The drill programme will include additional core drilling, enabling follow up metallurgical test work to be completed. If successful, a Scoping Study will be initiated with results targeted for Q4 2019. Any such study will also incorporate the concept of future incremental expansion to progress the Sanankoro Project to +100,000oz pa production.